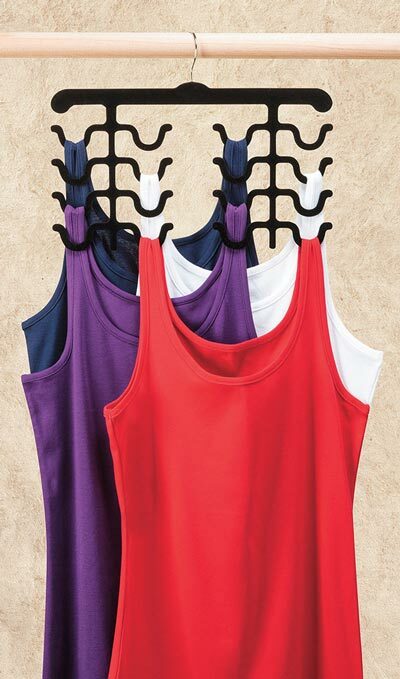 Conserve precious closet space by hanging up to eight camisoles or tank tops on one convenient Cami Hanger. Specially designed from non-slip materials, this is the only hanger you'll ever need to keep essentials wrinkle-free and ready to wear. 16¼"l.
Sep 18, 2018 | By N. A.
I bought one of these, and LOVE it. 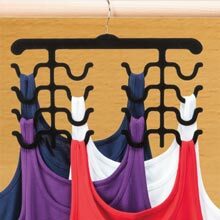 It is a great solution for hanging either one or multiple bras to dry. I want to get another, soon! I bought 3 of these. One of them broke as I was taking off the plastic wrapper. Not sturdy enough. 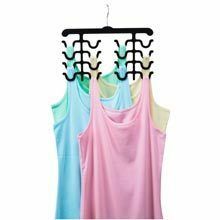 What a great item, the cami's sure stick to the felt- some tops are just two low for me & now can clearly see what colors i have.